It has been open for mere weeks but already The Botanica Vaucluse is making a reputation for itself as being Sydney's 'most Instagrammed' restaurant. And it's easy to see why. The restaurant is nestled in the leafy surrounds of one of the city’s most exclusive suburbs, but betrays none of the pretentions one would expect from its location. 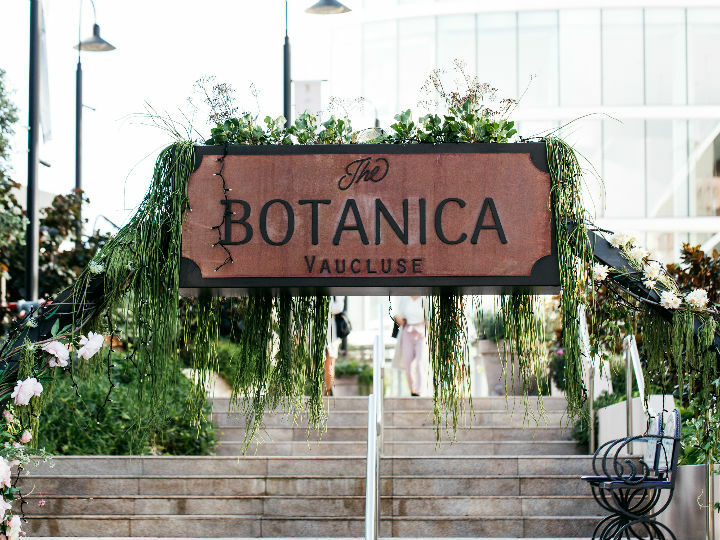 There are no bells and whistles here – guests arriving at the location could easily miss it if not for a delicate floral garland wrapped around a copper archway, guiding them up a path to The Botanica's front door. The garland is one of many subtle, albeit thoughtful touches created by celebrity landscape artist Charlie Albone. Albone's vision for the welcoming piece was to create something with "a slightly twisted feel to it". "A little bit like the Hanging Gardens of Babylon," he said. "The archway was also crafted from copper rather than the usual timber, because copper is a healing metal which we decided would tie in nicely with the nourishing food at the restaurant". See? There's that attention to detail. And it's obvious this same amount of careful thought has gone into each and every element of the venue. As guests enter the restaurant they are greeted by a floor-to-ceiling mural created by Kingdom Home, owner Kenneth King. The luscious a feature brings an elegant whimsy to the venue and features peacocks and vines of hanging fruit, all painted in soft, muted colours upon an ivory backdrop. Equally, the furniture inside the restaurant has also been carefully chosen to enhance the peaceful vibe. 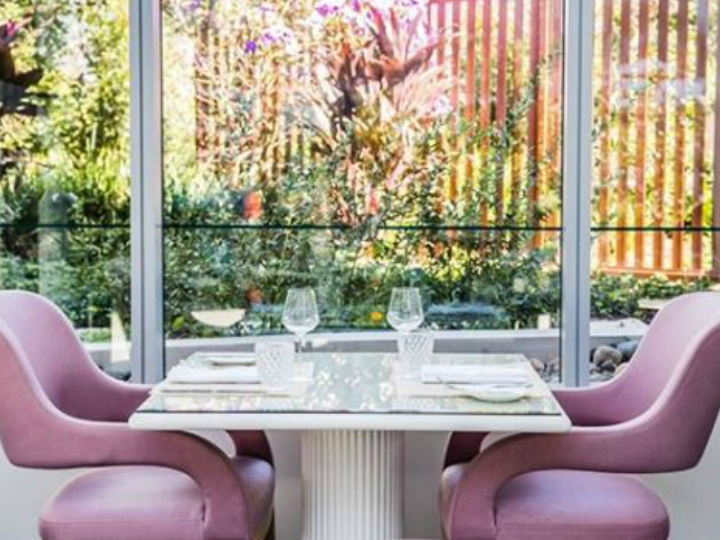 Designed by Evette Moran Interiors, the venue has been fitted with pastel pink high-back chairs and table accessories that would not be out of place in even the most luxurious Hampton abode. But the real star of the venue is, of course, the food. The restaurant prides itself on a 'farm-to-fork' philosophy, which has been inspired by venue's farm in Jamberoo Valley, just two hours south of Sydney. The menu is changed according to the seasons ensuring only the freshest produce is used and showcased. During a recent dining experience, the team at Robb Report enjoyed a selection of dishes including the hearty roast dry aged lamb rump with smoked eggplant, rosemary and feta. This was accompanied by the spectacularly tender roast duck breast, with raddichio, fennel and preserved orange salad. The sides were no less breathtaking. The moreish tempura eggplant with mint salt added crunch to the meal, while kitchen managed to master the delicate art of maintaining the crunch of heirloom baby carrots in their garden greens side. And as the cooler temperatures continue to blanket Sydney, there is perhaps no better time to move celebrations inside while still keeping the majesty of nature front-and-centre.